I caught up with Australian netballer Madi Robinson at the end of the 2017 Suncorp Netball season. 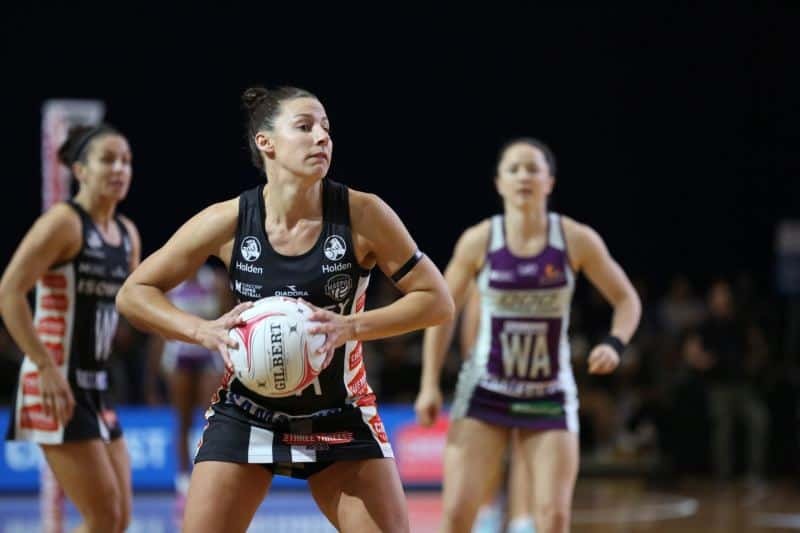 As the Collingwood Magpies Netball season comes to a close, following a nail biting one-goal loss to the Giants in the Suncorp Super Netball minor semi-final, captain Madi Robinson should be nothing short of proud of her achievements. The 29-year-old joined Australia’s largest sporting club as part of a new look national netball competition at the start of 2017. 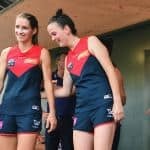 It was a big move for the former Melbourne Vixen and one into unchartered territory as two AFL clubs, Collingwood and the GWS Giants, formed professional netball teams for the first time. It’s clear to see the star wing-attack is thriving in more of professional sporting environment, particularly with a greater opportunity to participate in community programs. 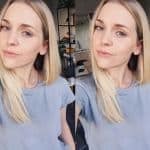 The former teacher is always looking to inspire the younger generation and share her passion for health and well being with others. I caught up with Madi Robinson to see how she’s finding Suncorp Super Netball, what it’s like to be a part of the much maligned Magpies, where she sees the sport progressing, and to learn more about her commitment to living a healthy lifestyle. Firstly, can you tell me about your background in netball. I’m originally from Geelong and grew up playing a whole load of different sports, but netball was something my mum played and something that I started getting involved in when I was about six years old. From there, having played basketball and other sports, by the time I turned nine that passion for playing and being active was instilled in me. Eventually my love and passion clicked and then you couldn’t really get a ball out of my hands! I was just practising before school, during school and after school. How have you found Suncorp Super Netball? To be honest I actually didn’t think the old competition could get any better. I thought this is the pinnacle of netball to play in, but Suncorp Super Netball has just taken everything up into a completely new level, which is so exciting to be a part of. Just being a part of a sport in this time when we are moving towards hopefully that professional stage, where we actually are getting paid to play as professional netballers. Obviously at the moment most players still work or study as well as play, so we’re kind of in that semi-professional stage still. But to be a part of something that is moving sport forward – when I first started I made $1,200 for the year, and now the minimum payment is $27,500 – so it’s been a pretty exciting time to be a part of netball. What’s it like being a part of Australia’s biggest sporting club at Collingwood? Being a part of something as big there’s also that pressure element, and being in the black and white there’s also the polarising love and hate that people have towards you. But it’s pretty amazing to have access to those facilities and the resources that come with being part of Collingwood. As I said, I grew up in Geelong where I used to play with footy and netball so to be back in that element as a whole club, not just a netball team, is incredible. I think it’s the way forward for sport so it’s great to be part of that pioneering way of showing how the sport can continue to progress in being part of something bigger than just being a team. Do you have much interaction or involvement with the Collingwood’s other teams? Logistically whoever has to the schedule it would be a nightmare because there’s four teams they work in around their schedules, but because of our player agreement we have between 10am and 4pm locked out, which is the majority of the time the boys are using the facilities. The best thing about being at the Holden Centre is the fact that we can do core work, we can do our gym, we can do our recovery, everything is all there. We do cross over in the hallways, but most of our training is separate. The AFL Women’s was just at the start of the year and now they’re back at their VFL clubs and the VFL boys are on a different schedule. Being a Geelong supporter I do have a soft spot in my heart for Collingwood now. I see them training and I want them to do really well but it’s still a little bit difficult to say ‘Go Pies’ at times! How does your team benefit most from being a part of Collingwood? We’re learning off each other. They’re learning a lot about things off us from the way that we approach things. We’re very grateful for the opportunity that we have at a club like Collingwood, where young footballers they walk into that and that’s from day one what they have, where we’ve had to really work hard to get what we’ve got. We’re very appreciative of the resources we have at our fingertips. We’re also learning a lot from the football side in that professional space of if you’re a full time athlete what that involves, exploring the relationships with our sponsors and partnerships and all those things. It’s the fact that they know how to run sport as a business so it’s just learning from that and going, ‘this is where we can take sport’ and this is the future. If we want to compete with the likes of the other teams and other (women’s) sport starting to develop like cricket, football, and even soccer we need to continue to be at the forefront of netball and keep pushing that pathway for all female athletes. We’re still at the top at the moment, but if we don’t keep being innovative and stepping up when we need to then we’ll be surpassed pretty quickly. You have a background in teaching, are you teaching now? Not at the moment. Sometimes in the off-season I go and do a few days of relief teaching, but it’s a little bit difficult because once our season finishes, if you’re in the Diamonds national program then that pretty much starts straight away. Being part of a start-up club I think it’s really important to make sure that we’re getting out into the community and showing that there’s not only a pathway in Victoria to play for the Melbourne Vixens but also for the Collingwood Magpies. I guess my time has been very much spent in making sure that we’re getting out there and giving to the fans and young girls. It still involves a little bit of teaching but just not in the classroom, so maybe one day I’ll get back in there but at the moment it’s pretty exciting just being an athlete and soaking up all the opportunities that come with that as well. Your website focuses on your interest in health and well being, what drives your passion? When I first started playing at the elite level, which was back in 2007, I was 19, and at 19 you think you know everything! Trying to be an elite athlete but still having your social life and going out and doing all those type of things, trying to have both at the same time. But I quickly learned that was not going to be the way moving forward to becoming elite and being a professional athlete. When I moved out of home and played in Perth for two years it was more of a learning experience of what do I like to eat, how should I be eating, what type of exercises should I be doing, how is my mind and my body and everything going to benefit from what I’m doing? It was more of a learning curve, as I said, I love education so I’m always about trying to learn new things and I dropped about 12 kilos within the first 18 months of just taking an interest in the health and well being space, so it was more just an avenue for me to share what I’d done. At the moment it’s under construction as to which way to move forward, it’s always a bit difficult finding that time sometimes to write those posts and things like that but I’m really passionate about always learning new things and trying different things out. The best part is learning from people that have been there and done that stuff, so I love reading things like yourself, your blog, and bits and pieces like that, because that’s the way you learn and you can try things out and then you can share your own personal experiences. How do you inspire people to be the best version of themselves? There’s a reason why I love playing in a team and it’s about being supported by wonderful people around you. For young girls out there, there’s so many stresses and things that are happening in our life, it’s more just about showing that there’s not a right and wrong way. Everyone is really different and unique and hopefully young girls, or even boys, looking up to netballers are empowered to be able to make their own choices and do what they believe is right for them. We don’t have to be all the same, that’s the best thing about us we’re all different. It’s more about hopefully inspiring but also empowering them to learn and live a happy, healthy lifestyle however they choose to do that and whatever they love doing. That’s probably the whole main purpose around it, I guess you know being an athlete you’re considered a role model and it’s about making sure that you’re sending those right messages and positive messages to those young people that do look up to you and aspire to be like you. But we’re all different so make sure you embrace those differences and be happy in who you are and love the life that you live.